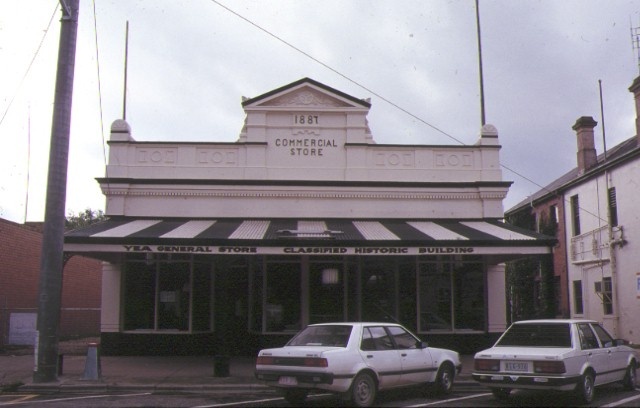 Purcell's General Store at 20 High Street, Yea was built in 1887. It is one of the oldest buildings still intact in Yea and was owned and operated by several generations of the Purcell family until 1986. ES Purcell had operated a general store in Yea from the 1860s and the family was prominent in the town. 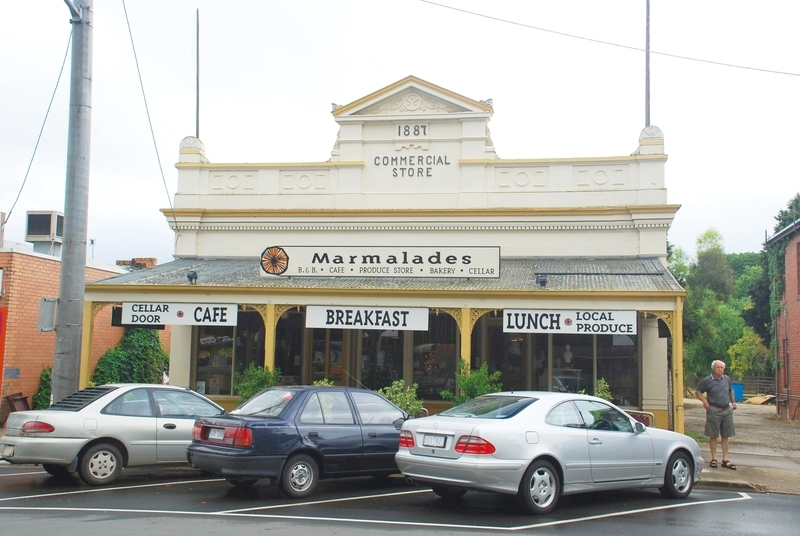 The store is a single-storeyed brick structure with a wide trussed gable roof concealed at the front by a rendered and decorated parapet with a raised central pediment. Two recessed entrances opened to separate departments, with groceries and hardware on one side and clothing, haberdashery and Manchester on the other side. A varnished and mirrored central partition divided the store centrally and an ornate balustrade surrounded a stairway to a large cellar. Many of the internal fixtures and fittings still exist and are in place, including shelving, bins and three large polished shop counters. 4) for its association with the Purcell family, a prominent family in Yea since the 1860's, who owned and operated the store for nearly 100 years. Purcell's General Store, 20-22 High Street, Yea. 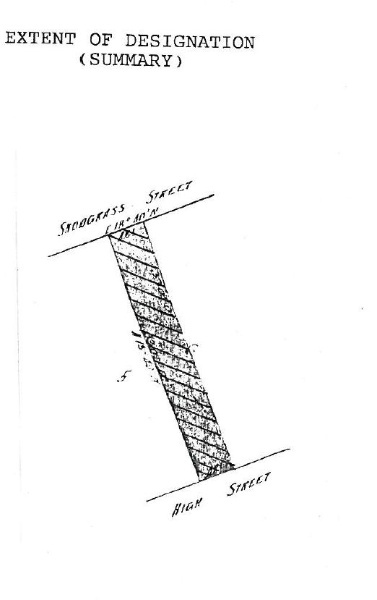 To the extent of: All of the buildings including interior fixtures and fittings, joinery, partitions, shelving, bins, cupboards, safe, stair rails and three polished timber counters within the General Store building and relating to its use as a General Store; and the land shown hatched which is included in the Register Book Certificate of Title Volume 1156 Folio 070. 1. Exempt classes of works or activities are to be planned and carried out in a manner that prevents damage to the registered place / object. However, if other previously hidden original or inaccessible details of the object or place are uncovered, any works that may affect such items shall immediately cease. The Executive Director shall be notified of the details immediately to enable Heritage Victoria representatives to inspect and record the items, and for discussion to take place on the possible retention of the items, or the issue of a modified approval. 2. If there is a Conservation Policy and Plan approved by the Heritage Council or Executive Director, all works and activities shall be carried out in accordance with that Policy and Plan. 3. Nothing in this Declaration prevents the Executive Director from amending or rescinding all or any of the permit exempt alterations provided work has not commenced on the alteration. THE ATTENTION OF THE OWNER AND/OR APPLICANT IS DRAWN TO THE NEED TO OBTAIN ALL OTHER RELEVANT PERMITS PRIOR TO THE COMMENCEMENT OF WORKS. · Previously permitted signage may be altered/replaced provided that the new sign is no larger than the existing, is located in the same position and no internally illuminated signage is used. · All internal alterations and external finishes to structures built more than 3.0m from the rear of the original shop building.